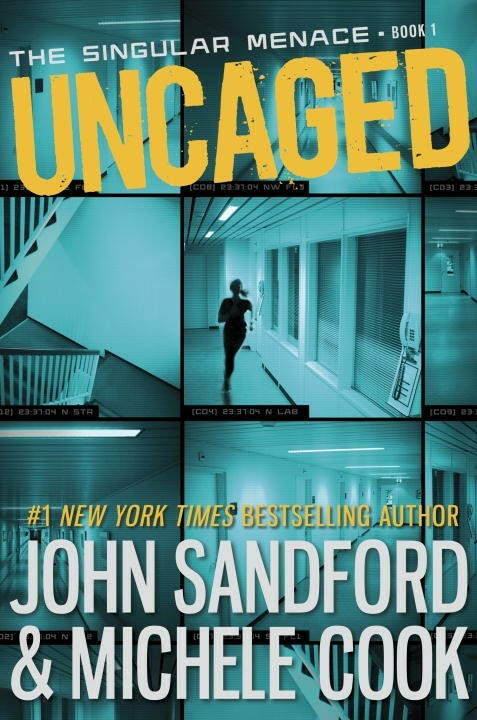 #1 New York Times bestselling Prey author John Sandford and Michele Cook debut a high-octane young adult thriller series. Shay Remby arrives in Hollywood with $58 and a handmade knife, searching for her brother, Odin. Odin’s a brilliant hacker but a bit of a loose cannon. He and a group of radical animal-rights activists hit a Singular Corp. research lab in Eugene, Oregon. The raid was a disaster, but Odin escaped with a set of highly encrypted flash drives and a post-surgical dog. When Shay gets a frantic 3 a.m. phone call from Odin—talking about evidence of unspeakable experiments, and a ruthless corporation, and how he must hide—she’s concerned. When she gets a menacing visit from Singular’s security team, she knows: her brother’s a dead man walking. What Singular doesn’t know—yet—is that 16-year-old Shay is every bit as ruthless as their security force, and she will burn Singular to the ground, if that’s what it takes to save her brother. I always keep a hopeful eye out for new YA thrillers – a rare and elusive breed – but much as I was predisposed to like this book for being just that, in the end it turned out to be a flat tire of a ride. Because while this story delivers decently on the mindless action front, all in all it’s a hollow affair. And the reason for that, predominately, was Shay. Let me put it this way: have you ever felt you’re meant to like someone, but just can’t quite bring yourself to do it? Well, Shay was one of those – because she was more a stand-in than an actual character, just going through the motions, not a whit of personality in sight. And as a result, despite her dangerous circumstances, despite her plight to save her brother, I could just never quite find a reason to care about her. I mean, literally the only defining characteristic she had was long, luxurious hair – she had no needs, no interests, no ticks or habits to call her own, just really nice hair. And that lack of any personality, that blank slate-ness, ended up making her quest to find her brother feel strangely impersonal – and by the same token, why people kept going out of their way to help Shay, I still don’t understand, because I certainly didn’t like her that much. But then again, this story does pointedly mention, several times, just how purty Shay is, so I guess that must be it. Nothing like a generic stereotype in place of actual character development, I always say – no, let’s just have a hollow doll, shuffled along as the plot dictates. Hey, you need a rock climber? Luckily my foster parents forced me to learn! Hey, I need rescue? Lucky I’m so pretty that boys will fall over themselves to help! Just, sigh. Still, all character aside, the premise of this book does have some solid points. I liked the feasibility of it all – animal testing, illegal medical trials – and despite the slightly cartoony Evil Corporation nemesis, it still felt viable and believable to me. The political activism had a nice ring to it, like a new age Weather Underground, and it’s always easy to root for scrappy kids taking on a Goliath-like company – but sadly, even on plot alone, this book still couldn’t quite deliver. Because while the beginning and end did have a nice drive, the middle stalls out in spectacular fashion, as the story decides to take a long vacation from its own premise – i.e. the whole missing brother/evil corporation of it all – to let Shay wander around LA, conveniently tripping over the very people best suited to help her. During which, as you might have guessed, the pacing takes a fatal nose dive – and it’s during that protracted lull that the lack of character once again rises up to smack you in the face. Because without action to propel this story, there really is nothing else to hold it up – as it certainly doesn’t have character. And even when the story applied a jolt of action, much like a defibrillator trying to resuscitate my interest – a violent attack, people hurt – it still failed to lift the story out of its morass, because once again, I just didn’t particular care what happened to any of them. And worse, the story then went on to actively waste its own attempt at drama, as it totally failed to play out the aftermath of the attack in any personal or emotional way. I mean, you’d think that at least one of the secondary characters would have been angry – having been scared and injured, having been subjected to this assault due to a stranger they hardly know – and would have lashed out, even if only verbally, at Shay. That maybe someone might have even suggested booting her out, instead of letting her endanger them all – but instead, no one even gives Shay so much as a side-eye, because she’s One Of Them Now. Because, you know, she’s pretty and has nice hair – oh, and knows how to rock climb. And yes, that is the sound of me rolling my eyes. But as much as this book drove me nuts, even I still have to admit – there’s a glimmer of something here I could have liked. An orphan on her own, risking everything to save her brother; an overwhelming enemy, a fight she can’t possibly win – there’s some lovely inherent tension in that premise. I also did really like the general idea, at least, of a community of homeless kids ganging up to fight a battle no reasonable adult would take on – and I thought Sanford did a nice job making the action beats clean, fast and easy to read. And you know, I did somehow still manage to get through to the end of this book, despite the major speed bump that was its entire middle section. I just wish there had been an actual character for me to like somewhere along the way. So in the end, this book left me with an unpleasant aftertaste – kind of like one of those evil marshmallow peeps that’s been sitting in a drawer far too long; the one you know isn’t good for your digestion, but can’t help but eat anyway. And then of course you end up feeling a bit icky and disgruntled, and can’t entirely remember why you thought eating it was a good idea in the first place – that, to me, is this book. Because in the end, it left me with a case of story indigestion – and worse, I find I just don’t care what happens to Shay or her brother next. I just don’t care at all. Best-selling writer for adults Sandford co-authors this surprisingly languid thriller, which stuffs most of its action into the final 50 pages—presumably saving material for the next book in the series. The interesting-enough story is further hobbled by generic characters and patches of lazy, florid prose.